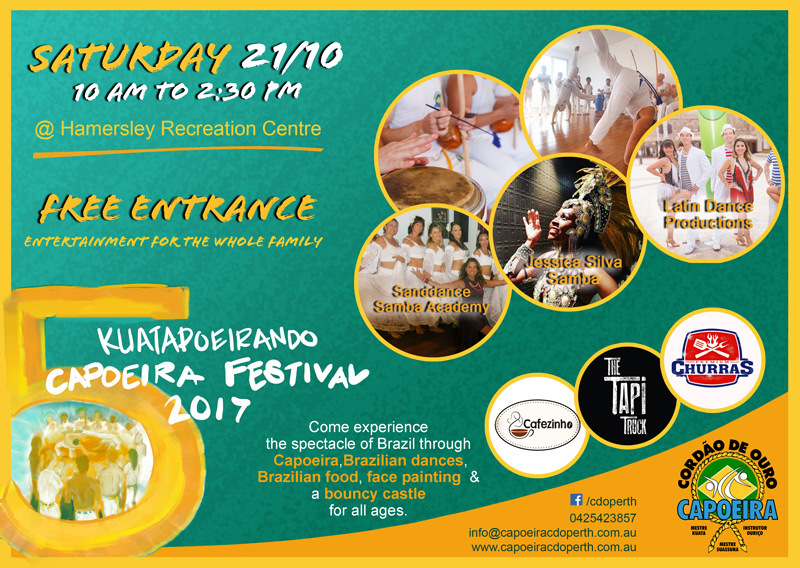 Capoeira CDO Perth is thrilled to present the 5th Kuatapoeirando Capoeira Festival 2017. The event will take place on Saturday 21st October 2017 from 10 am to 2:30 pm at the Hamersley Recreation Centre. The Festival will be revealing the rhythms, acrobatics & spectacle of Capoeira, showcasing mesmerising traditional music and dance by Brazilian performers, all accompanied by fine Brazilian food and coffee. 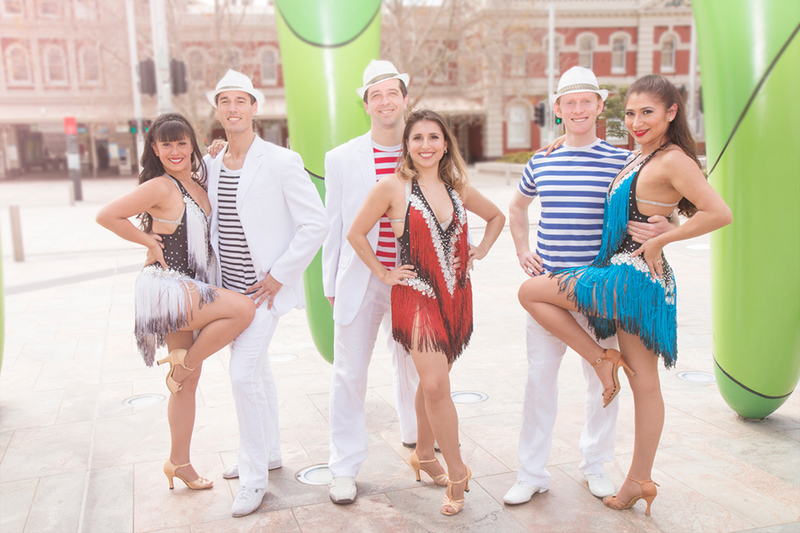 Latin Dance Productions in partnership with Jessica Silva Samba team performing the 2017 International Samba Day Samba de Gafieira and Samba no Pé dances. 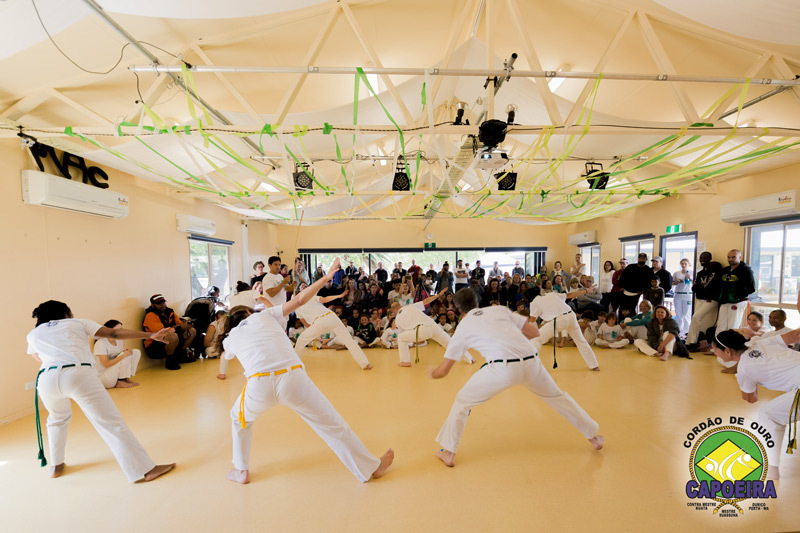 There will be performances by Capoeira CDO Perth’s own capoeira students showcasing the rich art of capoeira. Kids students will be performing Maculelê, an Afro-Brazilian warrior dance, and adults students will be performing Puxada de Rede, a folkloric theatrical dance about the lives of Brazilian fishermen. 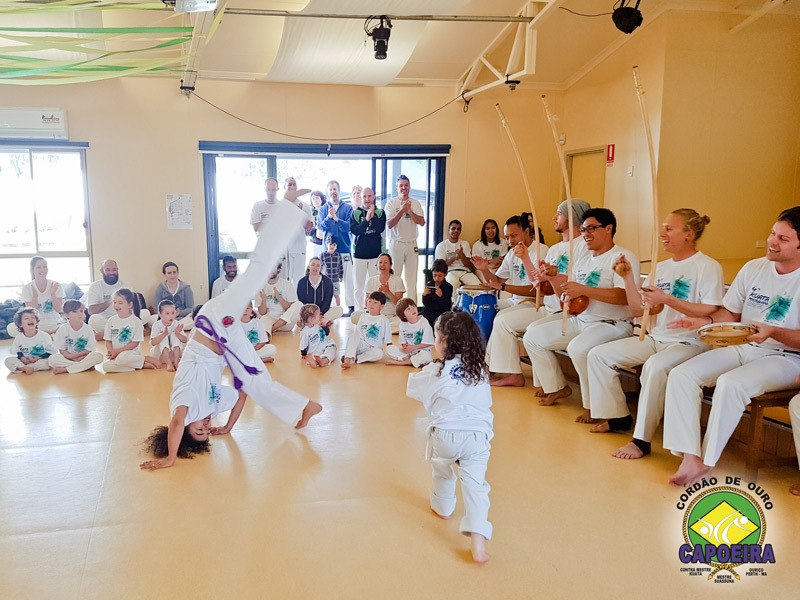 You will have the opportunity to see highly experienced Capoeira Mestres visiting from Brazil displaying their astounding athletic skills in the roda (the circle where Capoeira is played) and seeing local Capoeira students receive their new grading cord. We will also have face painting and a bouncy castle to provide enjoyment for the whole family, entertainment is guaranteed! 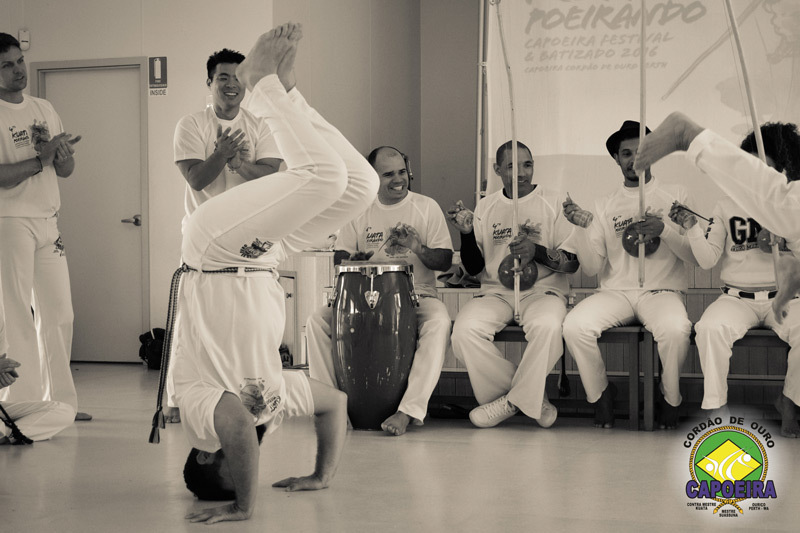 Capoeira CDO Perth is extremely proud to host the 5th edition of this exciting and vibrant Festival that promotes the best the Brazilian culture has to offer, a healthy and active lifestyle and a positive environment for people to enjoy themselves. “The festival is always an unforgettable experience that leaves us excited for the next one! It gives our group a chance to connect with the local community and with capoeiristas internationally. 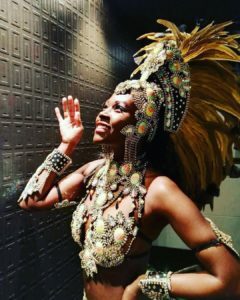 For culture and entertainment value alone, the festival belongs on everyone's calendar!” Diane Blaine, Capoeira CDO Perth student and parent. Remember there will also be a bouncy castle and face painting during the whole event plus yummy Brazilian food stalls so nobody goes hungry. For more information send us an email to info@capoeiracdoperth.com.au or call us at 0425423857.